The weather has been unbelievably cold. 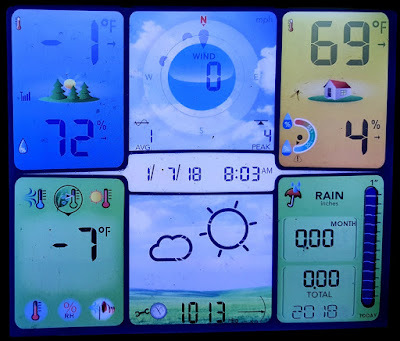 This is already the second full week of single digit temperature. 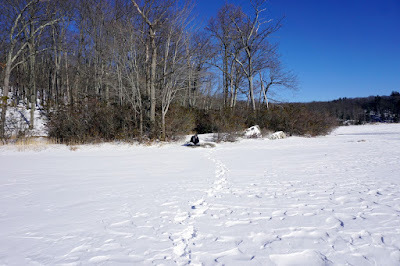 The day started out at -1, and had warmed up to a balmy 7 degrees by the time we started the hike. 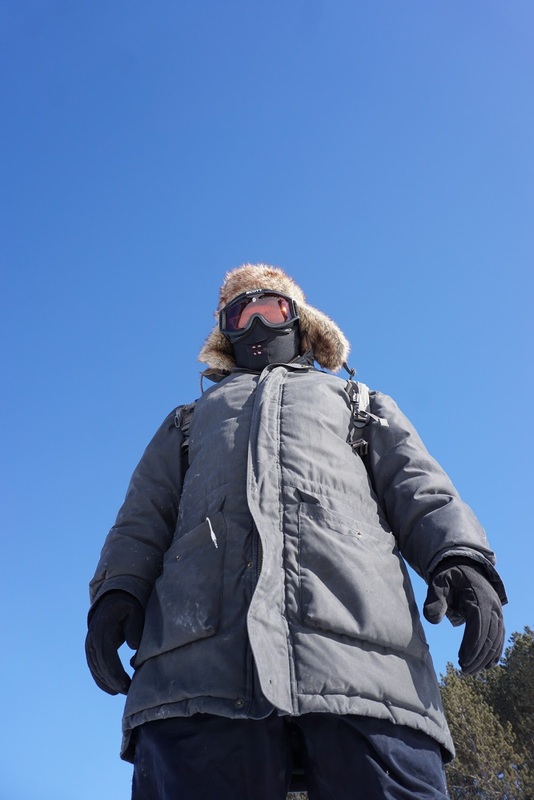 We dressed in many layers with very little exposure, and with a strong bright sun and low wind, we were better off than the previous week, despite it being colder. 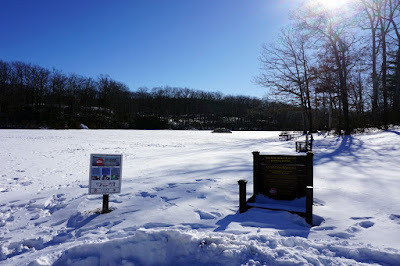 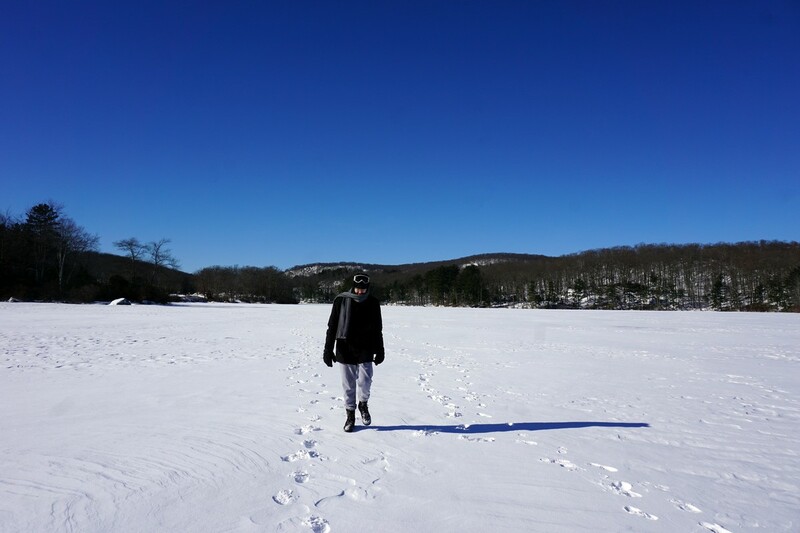 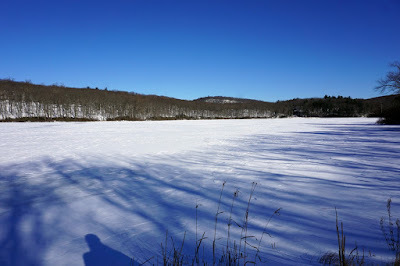 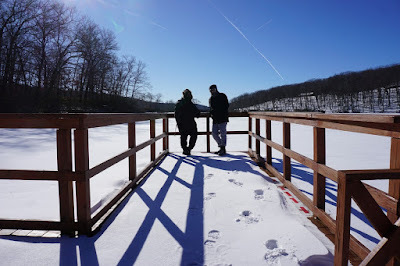 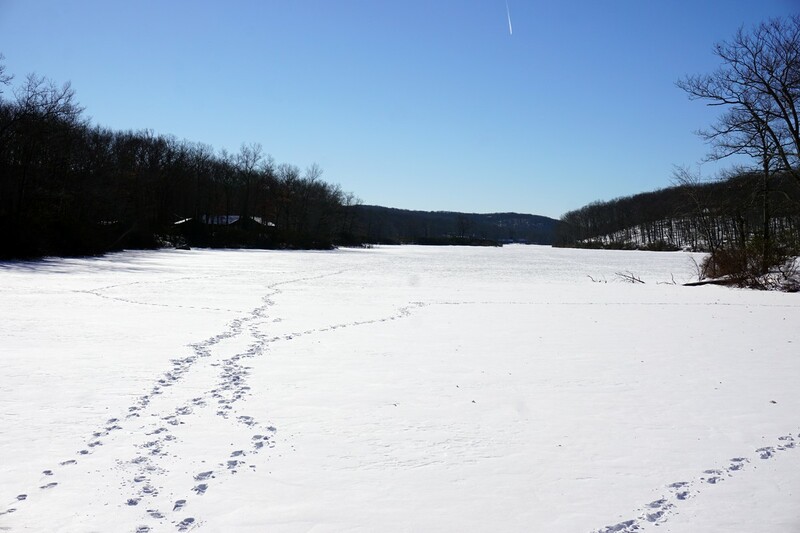 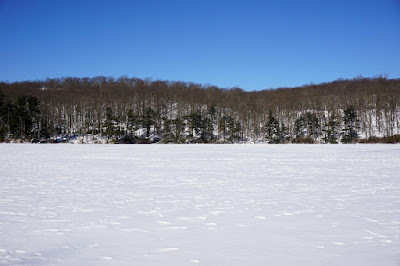 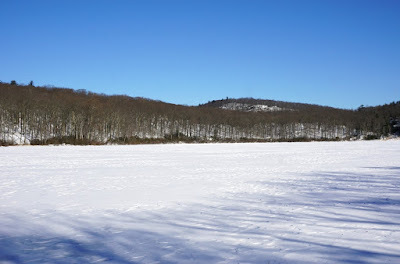 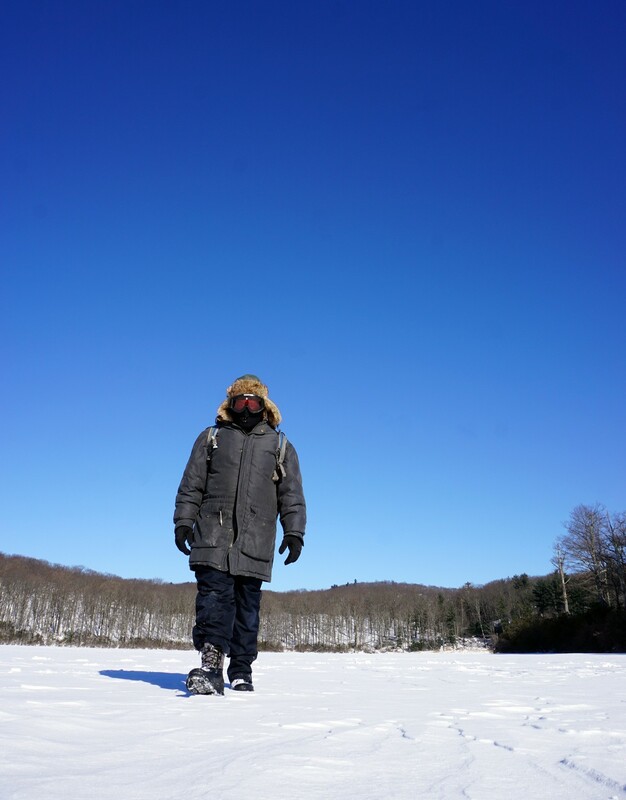 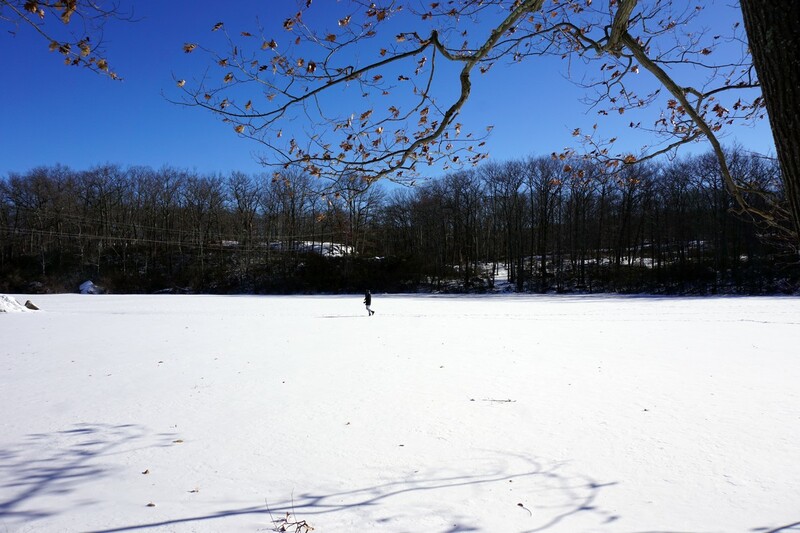 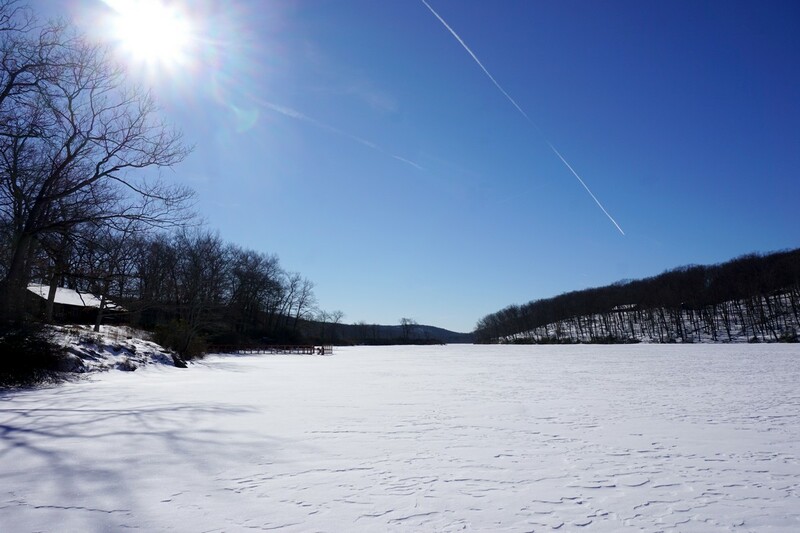 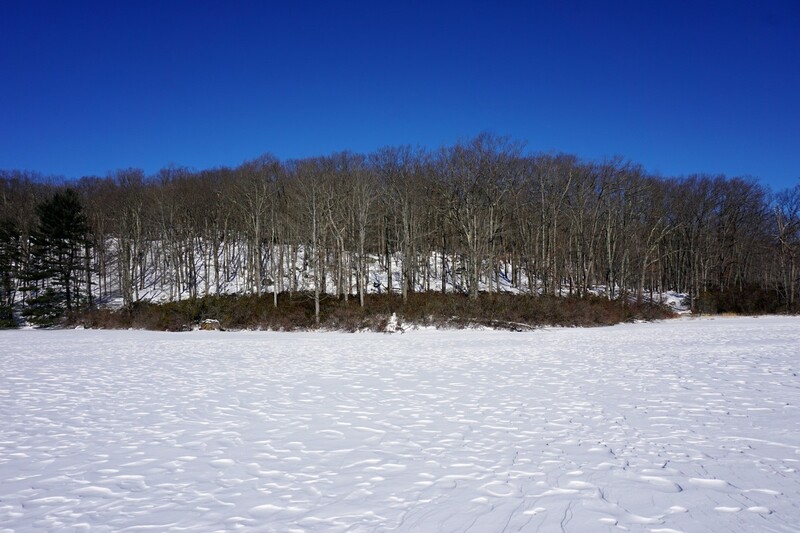 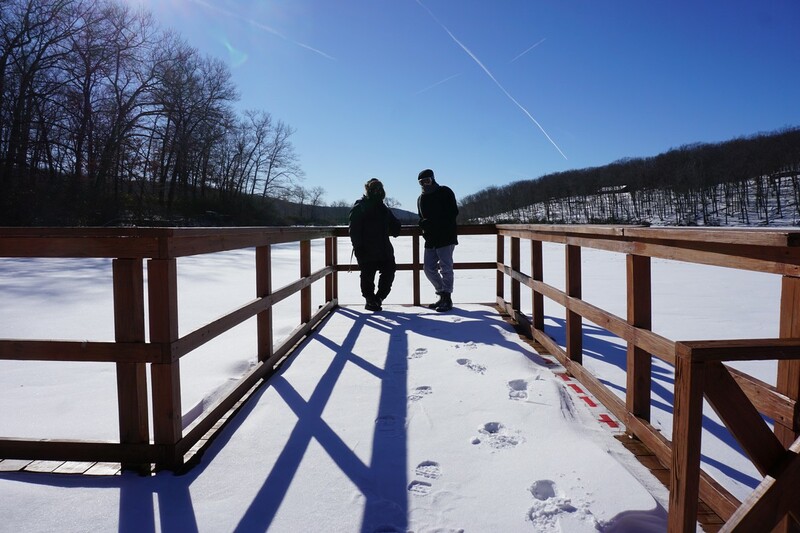 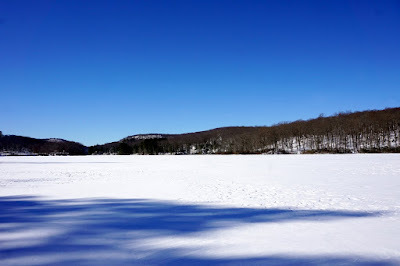 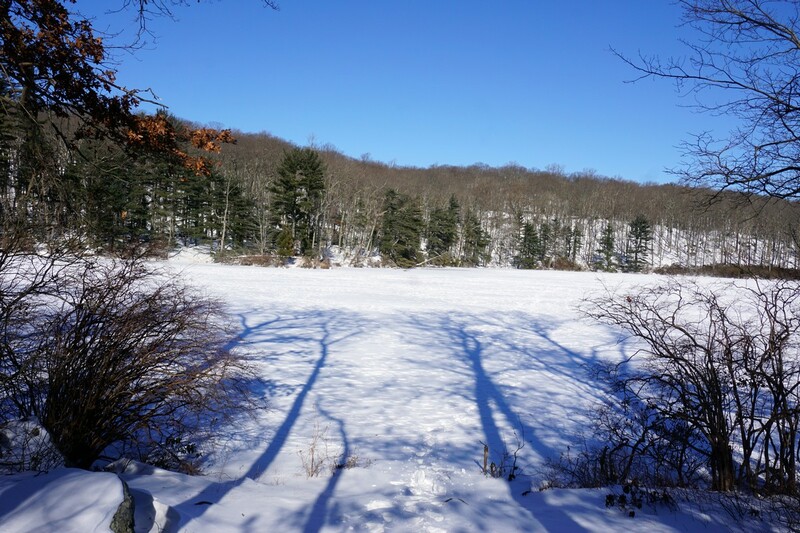 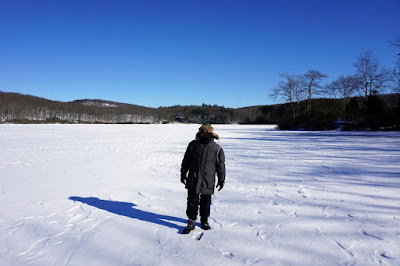 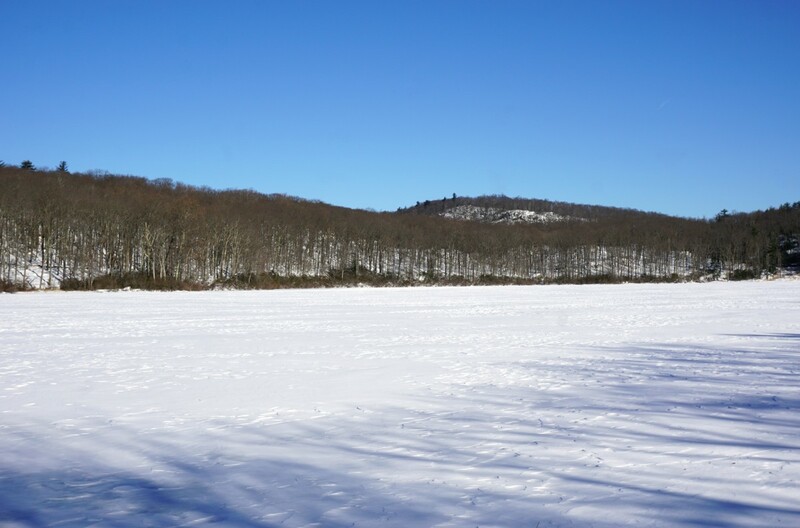 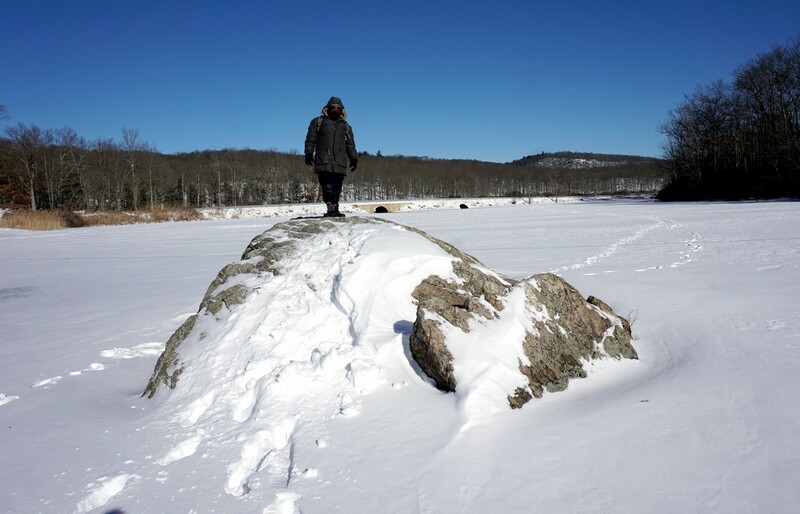 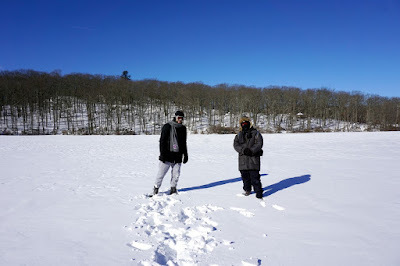 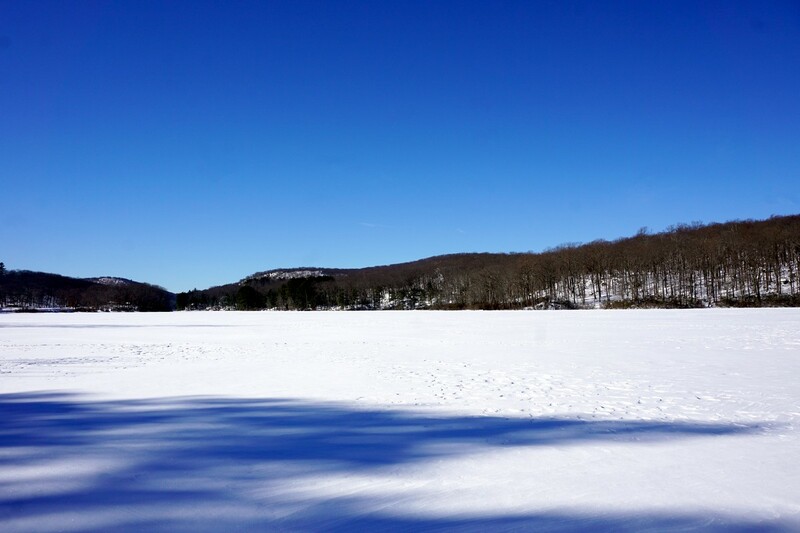 In my recent memory, I don't recall Lake Kanawauke being fully frozen so that you can walk on it. 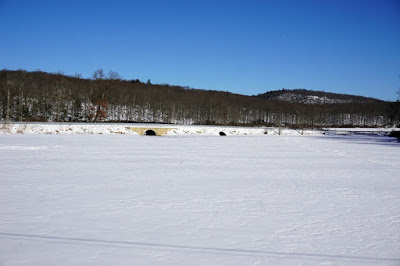 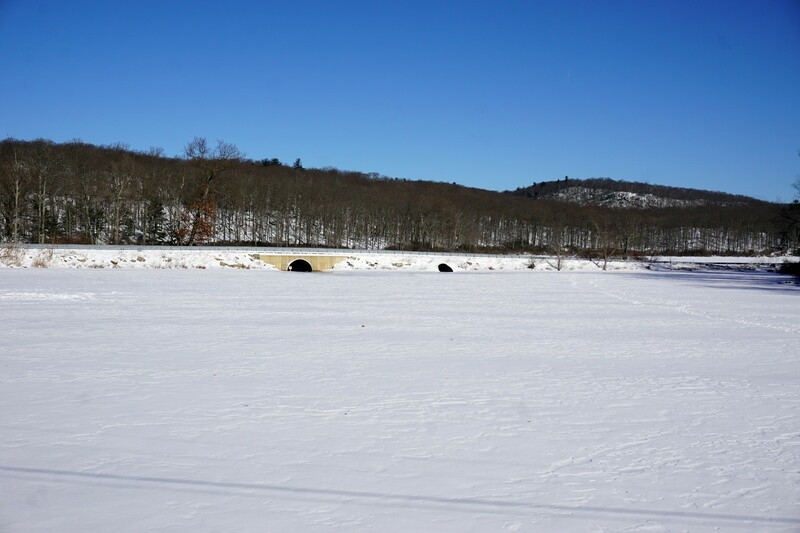 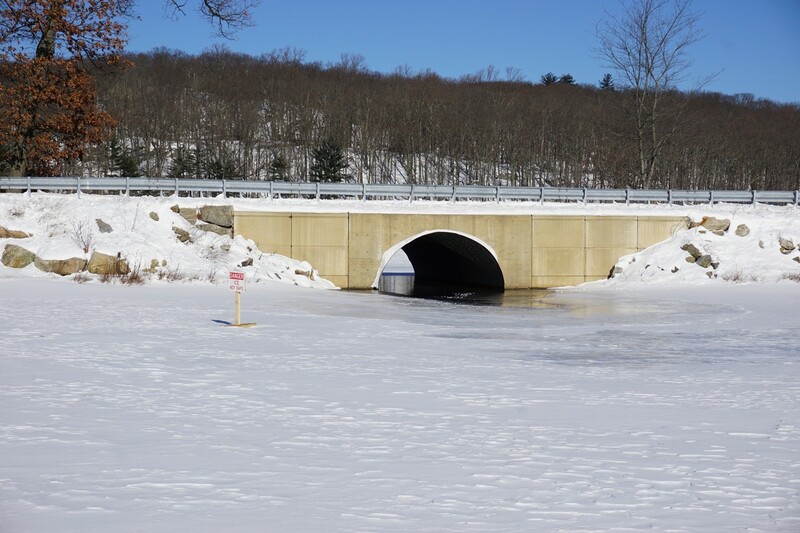 Even during very severe cold snaps in the past when all other park lakes were frozen, Kanawauke seems to never fully freeze, especially by the tunnels crossing under the road. 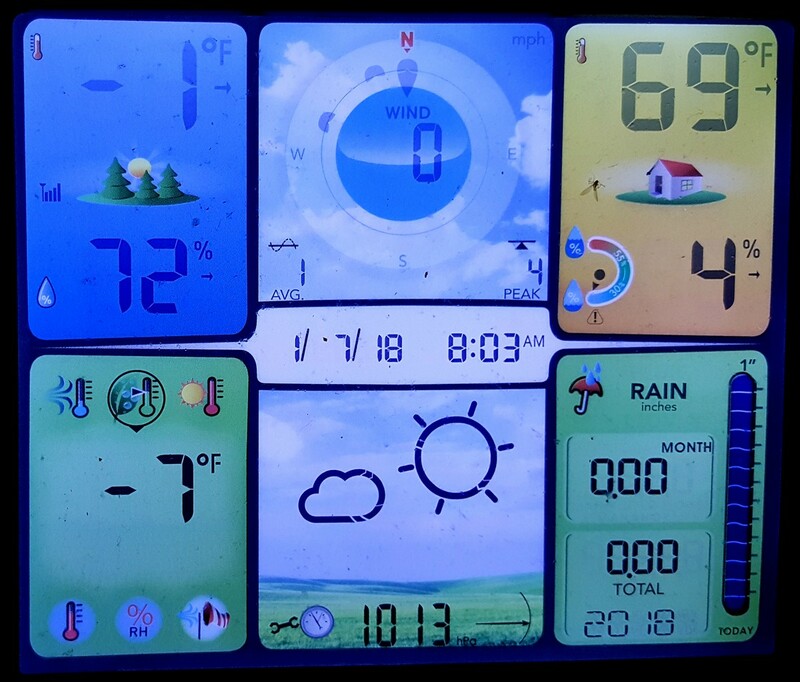 Well, this cold snap finally did it, and Kanawauke was frozen. 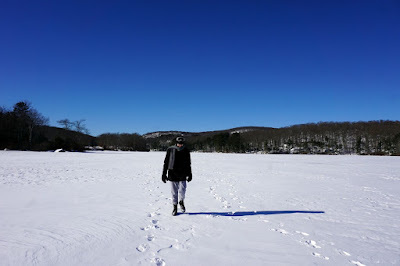 This was my first time being able to walk along this lake. 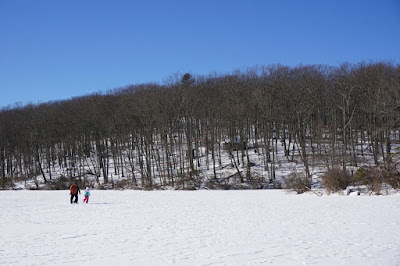 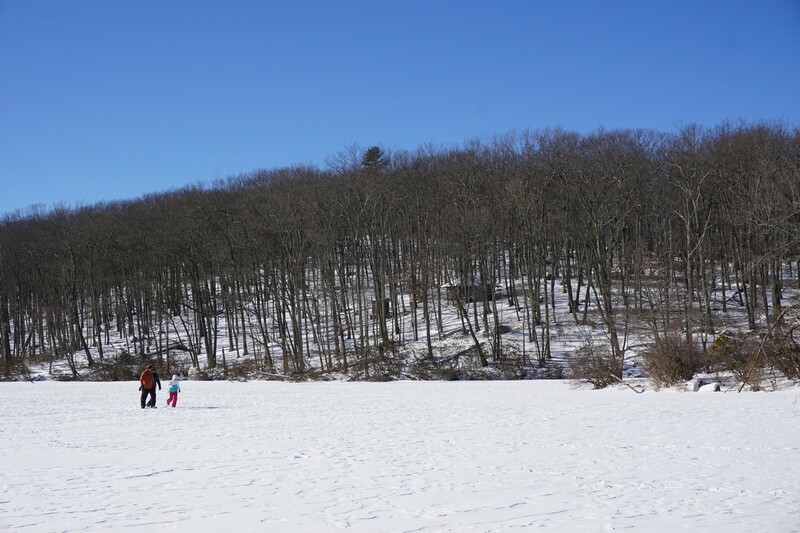 Because of the severe weather, we couldn't venture out too long, so we kept the hike short. 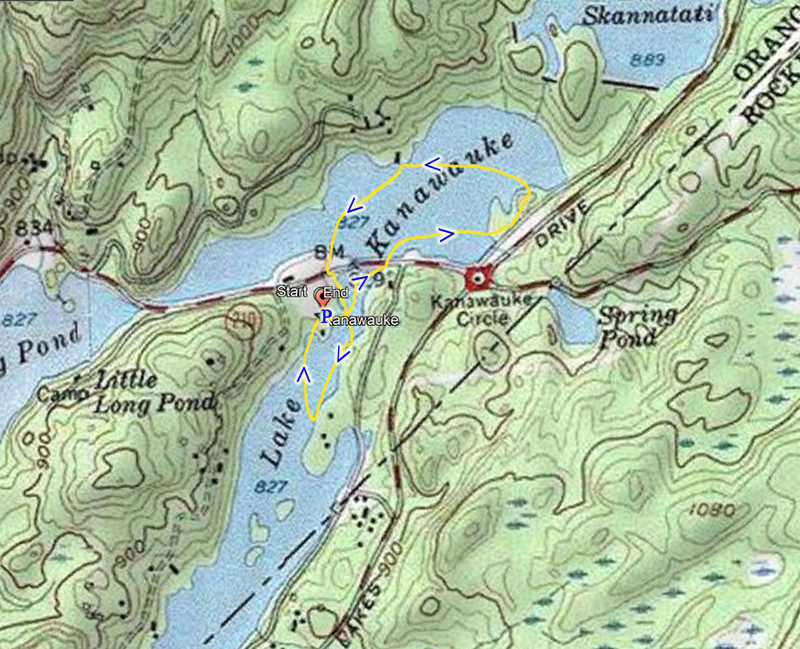 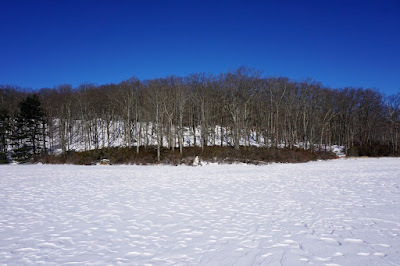 We parked in the Lake Kanawauke parking area, and went on the small rock island, and then headed north towards the northern section of the lake, crossing over the road. 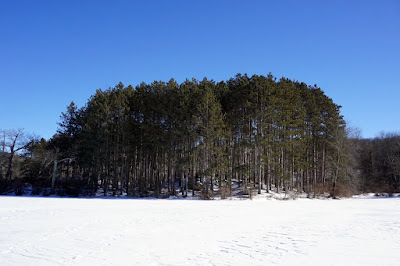 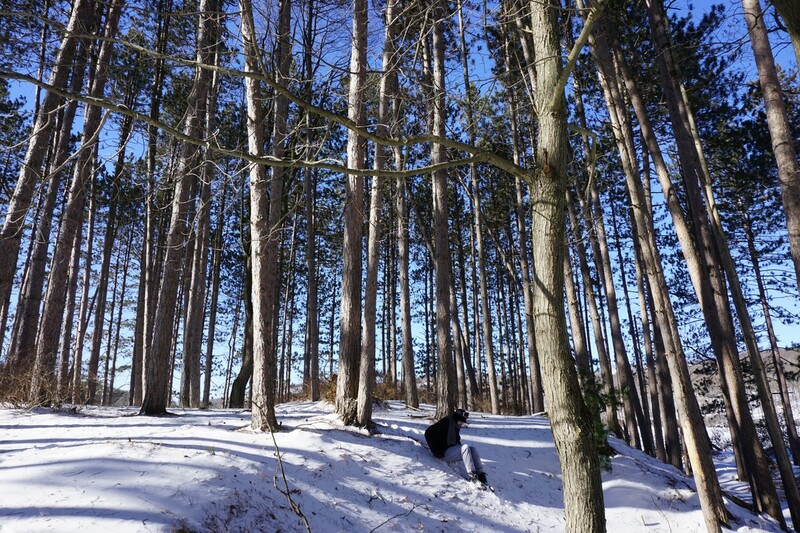 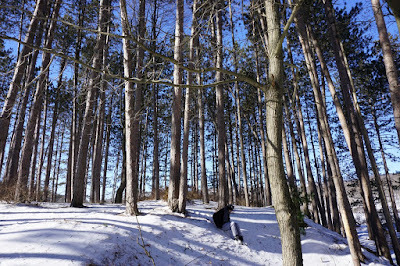 We walked towards the Pine Forest peninsula, walked through the first, then back across the lake, crossing it, and then heading back towards the road. 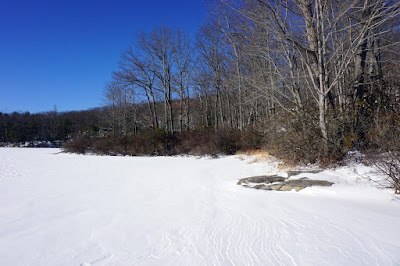 We entered the lake again at the boat launch, walked south towards the swimming area at one of the camps, and then headed back to the parking area.